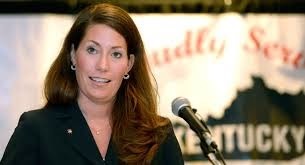 Democratic Senate candidate Alison Lundergan Grimes won't say if she would have voted for Obamacare. I will answer for her. Hell yeah she would have if they needed her vote. Every democratic Senator in the Senate voted yes. Democratic Senate candidate Alison Lundergan Grimes on Wednesday twice refused to say whether she would have voted for President Barack Obama’s signature health care law.